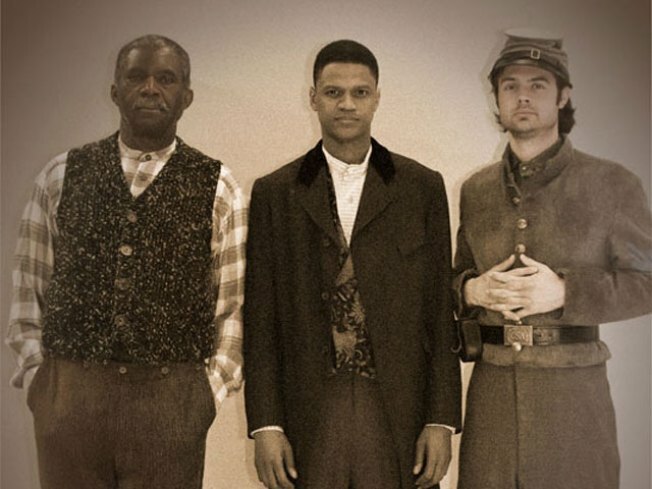 Charlie Robinson, Avery Glymph and Mark J. Sullivan star in the West Coast Premiere of The Whipping Man by Matthew Lopez, at The Old Globe May 8 - June 13, 2010. Photo courtesy of The Old Globe. Set in Virginia following the final days of the Civil War, a Jewish Confederate soldier returns to his childhood home, only to find it in ruins and occupied by his former slaves, who are preparing for a Seder. Though a new chapter of history is unfolding, dangerous secrets of the past threaten to destroy their family, their connected history, and their shared faith. Single tickets are currently on sale and can be purchased online at www.TheOldGlobe.org, by phone at (619) 23-GLOBE or by visiting the Box Office.